Thanks to Barack Obama, it is only a matter of time before Israel feels forced to conduct a massive military strike against Iran’s nuclear program. When that happens, Iran will strike back, and hundreds if not thousands of missiles will rain down on Israel. This exchange will likely spark a major regional war in the Middle East, and that could end up plunging the entire planet into chaos. If Barack Obama was attempting to prevent such a scenario from playing out, he failed miserably. Personally, I think that the deal that was just made with Iran is absolutely horrible. Perhaps you disagree. Perhaps you believe that it is the greatest piece of diplomacy of all time. But it doesn’t really matter what any of us think. If this deal was going to work, it had to be strong enough to convince Israel that Iran’s pursuit of nuclear weapons has been completely stopped. Israeli Prime Minister Benjamin Netanyahu has sworn that he will never, ever let Iran get a nuclear weapon, and he has pledged to use military force if necessary. So what Barack Obama needed was a deal that would calm Israeli nerves while satisfying the Iranians at the same time. Such a deal may have theoretically been impossible, but that is what it was going to take to prevent war. Instead, Obama has made a deal which has utterly horrified the Israeli government. Israeli Prime Minister Benjamin Netanyahu even called it “a license to kill“. So now the odds that war will happen have gone way up, but Barack Obama is too busy congratulating himself to notice. And it isn’t just the Israeli government that has responded very negatively to this deal. One recent survey found that a staggering 74 percent of Israelis do not believe that this deal will prevent the Iranians from developing a nuclear weapon. 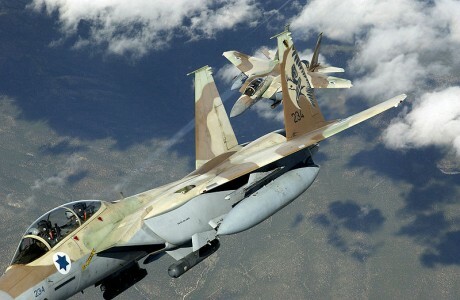 A different survey discovered that 47 percent of Israelis would now support a military strike against Iran and only 35 percent of Israelis are currently against one. Of course the Israeli government would very much prefer not to have to bomb Iran. Before resorting to military action, the Israeli government will certainly try to encourage the U.S. Congress to derail this deal. And we should probably expect to see more covert action against Iran’s nuclear program. Let there be no misunderstanding – as long as Benjamin Netanyahu is in power the Israeli government will never, ever allow Iran to build nuclear weapons. This deal that Barack Obama just made with Iran guarantees the Iranians a path to a nuclear weapon, but the Obama administration is apparently hoping that regime change will happen before that time if they are able to kick the can down the road far enough. But the big mistake that almost everyone in the western world is making when analyzing this deal is that they are assuming that the Iranians will actually keep their promises. Just like the U.S. government, the Iranians have a very long track record of blatantly lying. And they were caught lying even in the midst of these recent negotiations. The National Council of Resistance of Iran produced evidence that the Iranians were enriching uranium intended for nuclear weapons at a site known as “Lavizan-3” just outside of Tehran. But even after this information came out, the Iranians and the Obama administration just continued with their negotiations as if this facility did not exist. This is how utterly incompetent the Obama administration is. The Iranians were hiding things and blatantly lying to us before the negotiations were even completed. And the truth is that it is possible that Iran might already have developed nuclear weapons. Let us hope that this is not the case, but if reports about Lavizan-3 are accurate, the Iranian nuclear program may be far more advanced than any of us have been led to believe. Sadly, most people in the western world end up believing what they want to believe about Iran instead of what the facts on the ground actually tell us. And just because Iran has made a “deal” with us, the American people should not assume that we have now become “friends” with the Iranian government. “Even over the weekend, as Iran continued to receive more and more concessions at the negotiating table, Iranian President Rouhani led a march of hatred in the streets of Tehran in which the masses cried, ‘Death to America! Death to Israel!‘” Netanyahu said, describing Iran’s recent “Al Quds (Jerusalem) Day” in an address to the Knesset Monday. What a horrible thing to want. Even though I am very pro-Israel, I would never wish death to Iran. The Iranian people work hard, they take care of their families, and most of them want peace. Unfortunately, Iran is run by a cadre of radical Islamic nutjobs that are obsessed with wiping the nation of Israel off the face of the planet. For a long time, Israel and Iran have been on a collision course, and now time is running out. War is coming to the Middle East, and it is going to be absolutely horrifying.